How can you judge whether or not your conveyancer in Campbelltown is above industry standard? This is a question that many homeowners and investors ask themselves in the Macarthur region, an area of South-West Sydney that is evolving and populating at a healthy rate in 2018. Every day there are new escarpments, buildings and homes being constructed. This is a location where local communities are thriving, but for consumers to be safe and protected with their premises, they need a conveyance specialist to carry out some fundamental tasks. 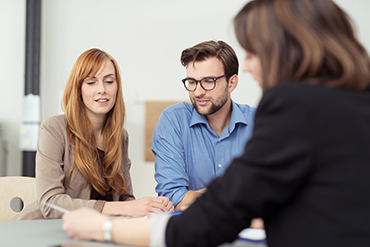 The legal maneuvering and management of property is a field not to be left to chance, so here we will take a closer look at the outstanding features and characteristics of a conveyancer in Campbelltown. 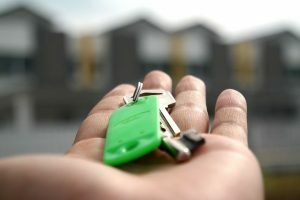 In order for your conveyancer in Campbelltown to be working in your best interests, they need to provide security measures that illustrate their diligence to be working on your behalf. With transfers and transactions involving the legal ownership of property, there can be a myriad of opportunities where violations take place and laws can be broken. Above any other parameter that can be measured for a professional working in the greater Macarthur region, security must be at the forefront of their operating model. Protection through a sound framework alongside colleagues and affiliates will ensure that your financial information will be protected and kept safe from dubious bodies and illegal parties attempting to hack your data. This can be seen through practical measures including a fidelity fund and indemnity insurance. The resources of the firm that a conveyancer in Campbelltown has will speak volumes about their capacity to carry out the role satisfactorily. In many cases, there will be local conveyance specialists who align themselves with solicitors who carry out additional tasks that are beyond their remit or expertise. To have that sound network in place is paramount to running an efficient operation, ensuring that the client receives the best possible representation and service for their investment. More times than not, a conveyancer in Campbelltown will be called upon for a deceased estate that must be handled with care and diligence. The grief and pain of the loss of a loved one can make for a difficult management process as the aggrieved is obviously not in a healthy mental or emotional state to be considering the transfer of property. In this respect, a quality operator will be cognisant of this fact to be helpful and caring of the sensitive nature of the grief. Consider this part of the role an intangible that must be factored into the equation. There will be a series of tasks and skills that are calculated into the bill of a conveyancer in Campbelltown. This will be inclusive of local search requirements to obtain data on the local terrain and market, the preparation of the legal documents, disbursement and third party logistics and the advice handed out towards the client during the duration of their consultations. What has to be mulled over from the perspective of the client is the idea of the sale price of the property, a figure that can slide upwards if the buyer inflates the initial listing. What should be apparent from the first moment is that the conveyancer is transparent on the fees and the money required, because individual clients can only dedicate so much of their budget to this department. Questions should be asked about how well the conveyancer in Campbelltown knows the local community and how long they have been based there. For a professional who has been born and raised on these streets or has moved into the area to raise a family, they should have intimate knowledge of all of the various markets within Macarthur. This will range from Macquarie Fields to Minto, Woodbine, St Andrews, Claymore, Eagle Vale, Leumeah, Glenfield, Raby, Menangle Park, Ruse, Kearns, Ingleburn, Bradbury, Airds, Denham Court and surrounding suburbs. A quality operator will place knowledge of these communities at the top of their agenda. How well is your conveyancer in Campbelltown considered by the local community and by current and former clients of theirs? By gauging the testimonials that are on offer as well as a comprehensive online check through Google, Facebook and perhaps even the App store, you can begin to test the waters on a number of factors. Read the feedback carefully alongside the rating to see not just what the score out of 5 is, but why they rate so well or so poorly. Fellow consumers have no compulsion to inflate their opinion one way or the other, so check to see what the genuine feeling is about this practitioner and their firm. A quality provider will tick all of these boxes.